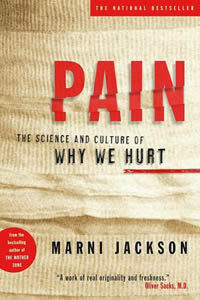 Why do we persist in this distinction between mental and physical pain when pain is always an emotional experience? What explains the fact that something as universal as pain is so poorly understood, especially in a century of self-scrutiny? Has nobody noticed the embarrassing fact that science is about to clone a human being, but it still can’t cure the pain of a bad back? Americans consumer four tons of aspirin a year, while chronic pain is on the rise. It’s almost as if pain flourishes on our diet of analgesics. Many medical students receive no more than one hour of instruction in pain management. Some schools don’t even have pain on curriculum, even though pain is the number one reason that sends people to their GPs ... It’s not the fault of physicians — this is how we teach them. Why are we, the most medicalized of societies, a culture in pain?